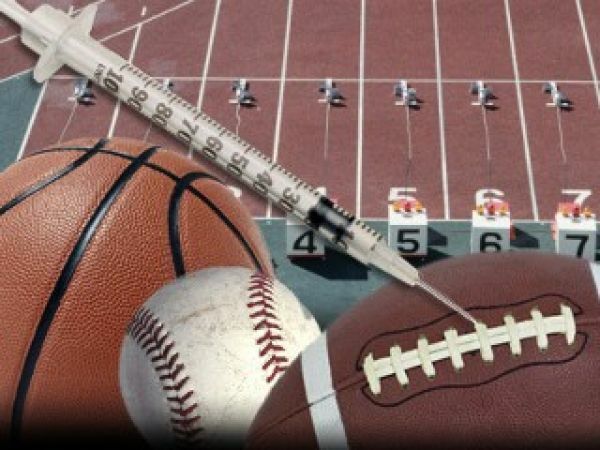 The "Steroid Era" is an era in sports that began in 1992 and lasted until 2006. In this era, more than 127 players in the MLB have either admitted use, been implicated to be users, or have been mentioned in the Mitchell Report for using PEDs. Since, 1962, 185 players in the NFL have been suspended for using banned substances as well. The Steroid Era saw a sudden jump in production from its players because of the introduction of performance enhancing drugs. It is speculated that after baseball's player strike of 1995, players suddenly began "juicing up". In 1995 Albert Belle hit 50 home runs in what would be just the beginning of things to come. The following season, 1996, was maybe the most inflated offensive season ever. There were six players on pace for 50 home runs in 1994 when the players went on strike. Those players, Matt Williams, Jeff Bagwell, Frank Thomas, Barry Bonds and Albert Belle would have been the first players since 1990 when Cecil Fielder hit 51. To put things in perspective, besides Fielder, the only 50 home run season since Roger Maris and Mickey Mantle both topped the mark in 1961 was in 1977 when George Foster hit 52 for the Reds. That’s two 50 home run seasons in the 32 years following the 1961 season. There were fifteen 50 home run seasons from 1995-2002. In 2008, an independent group contacted almost 3,700 members of the National Football League Retired Players Association. In a survey that guaranteed confidentiality, 2,552 former pro football players answered questions on their use of performance-enhancing steroids and the musculoskeletal injuries they suffered during their playing years. Among the ex-players, 9.1 percent said they had used steroids, with certain categories of players more likely to report using the drugs. For example, 16.3 percent of offensive linemen admitted using steroids, as did 14.8 percent of defensive lineman. Major League Baseball started its survey testing in 2003. Even though 96 players reportedly tested positive for a banned substance exceeding the 5% threshold set to kick in a full testing program in 2004, at the first hint of steroid control, the 50 home run season had vanished. MLB instituted their first drug testing program in 2004 because there were critics saying that it wasn't tough enough. The penalty for a first offence was counseling and further testing. It wasn’t until 2005 that players faced a true threat. Any player failing an drug test would be suspended for 15 games and have their name revealed to the media. 12 players failed tests in 2005. Baseball called it a dramatic decline while the critics still maintained the program had giant loopholes and was not severe enough. In 2006 the suspension for a first offense increased to 50 games. Only one player, Colorado Rockies pitcher Yusaku Iriki failed a test. As the BALCO and Jason Grimsley scandals played out in the news in 2005 and 2006, players had a new threat. BALCO documents revealed HGH was an important part of advanced steroid cocktails. Grimsley had been suspended for 50 games without ever testing positive. He admitted to IRS Special Agents that he had only used human growth hormone (HGH) since MLB instituted its testing policy in 2004. There is still no reliable test for HGH and no test in baseball at all. But there is finally a serious public risk in using HGH. Players now know that government officials are tracking HGH supplies and clamping down on bogus prescriptions. While statistics began normalizing in 2003, it’s hard to argue the steroid era was over without even the slightest deterrent from using HGH.